We have a wide variety of classic car engines and parts in stock today. Small blocks, big blocks, repairs or rebuilds? Thunderbolt Engine and Transmissions likely has a solution to help with your project car or rebuild process. 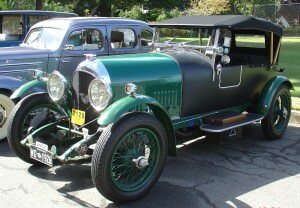 Harry Hartley founded our business over 84 years ago in the Houston area on the founding principles of classic car engines. Old Corvettes, Cadillac’s, Mustangs and more. We truly have a passion for classic car engines. Do you keep classic car engines in stock? We continue to keep a steady inventory line of classic car engines, parts, transmissions and engine rebuilt kits for our local Houston area automotive connoisseur’s. We also offer nationwide shipping on all our Thunderbolt products. At Thunderbolt, we value and appreciate the classic car just as much as you do. Our staff is always up to speed on their product knowledge and can help you find what you need in a timely and friendly manner. 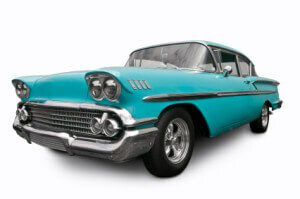 Give us a call or request a custom quote to discuss your classic car project. We have a staff of experts that have the knowledge to recommend and assist you with your classic car and classic car engine rebuild. With over 84 years of experience we might help finish that long awaited dream classic car, while helping you with some ideas that you may not have yet considered. Looking to rebuild a classic car? Don’t pass up a chance to let us help out. We love seeing the classics brought back to life. If you’ve got a plan to restore an old classic, just let us know. We’re here to help out. Classic cars are a treasure of power and history, and something that deserves the best in engine restoration. We have the knowledge and experience to make sure your project goes smoothly with any type of restoration, remodeling, and rebuilding of an old school champion engine. Let Thunderbolt bring your classic car engines back to their prime. Thank you for choosing Thunderbolt Engines and Transmissions, where we believe that each of our customers come first and want to make that each person feels a sense of satisfaction with any project that you bring to us.